I've been thinking, reading and watching things about cars for the better part of the last 28 years that I have been around. More recently, I started to write about them too. But in all this time I've kept stumbling across a single thought, repeated by many. 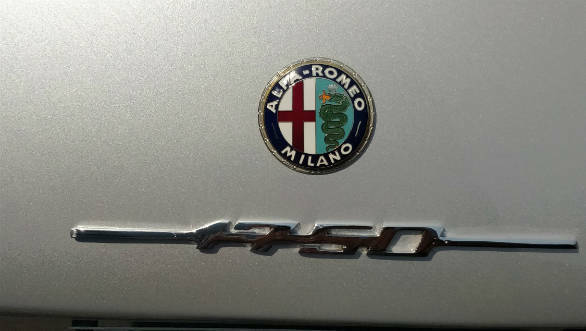 There have been many variations but the gist of it goes like this - you can't call yourself a true petrolhead if you haven't driven, or better still, owned an Alfa Romeo. With this background, I can now report that I am at least somewhat a petrolhead. And can also say that this rite of passage is completely justified. I saw the car you see here at a vintage car rally in Mumbai and my immediate thought was a feeling of elation. I didn't know what it was exactly but it looked perfect. The grey paint-job perfectly highlighted the car's fairly simple surfaces. The flat bonnet and slightly inward slant to the front fascia perfectly seemed to complement the quite upright but perfectly proportioned glass area which then flowed into a stubby boot. What was striking was that all of these iconic Giugiaro design cues, he styled this as his first project for Bertone, were condensed into a footprint that looked no larger than a current day Swift. And what seemed like trinkets adorning an art installation, the chrome bits like the bumper, grille and fairly simple lighting elements, seemed to accentuate the whole look. I realize that I still haven't told you what exactly this car is. But that's the point. Details and specs seemed inconsequential then. It was a moment of pure automotive joy, a feeling that petrolheads seem to always look for with any car they drive. Mind you, I didn't even sit in it, much less take it for a short spin. And I wasn't even disappointed that I couldn't. I was just happy to be near it. If ever there was a better measure of a car's 'character', that often repeated but never really explained trait of the most gripping of cars, I don't know of it yet. P.S. 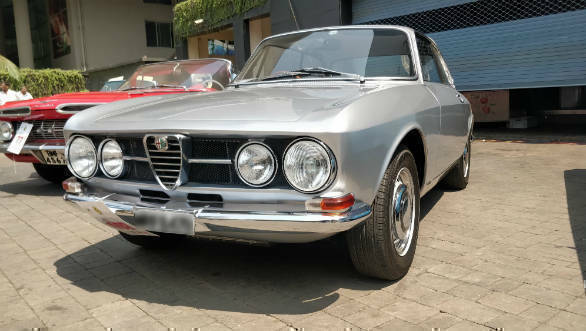 If you really must know, this is a 1969 Alfa Romeo 1750 GTV. It gets the brand's iconic twin cam motor, in 1779cc inline four guise with 122PS and 186 Nm. Ishtiyaq Nagree owns this car and does a perfect job of it. 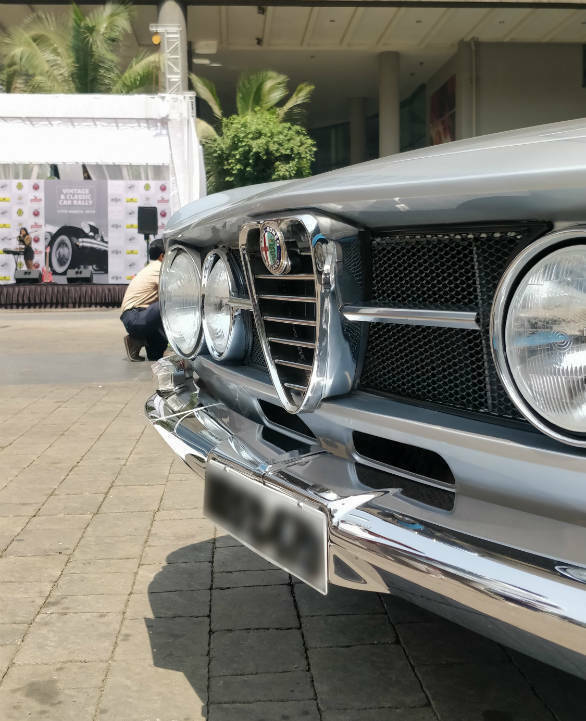 He's the 12th owner since the Alfa was imported into Mumbai in 1970 but the car looks like it rolled off the line yesterday.